20 x 1 Ounce Platinum Kangaroo Bullion Coin 999.5 Fine. 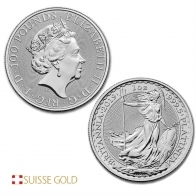 Each coin contains one ounce of 99.95% pure investment grade platinum bullion. The Platinum Kangaroo has been produced by the Perth Mint in Australia and 2018 is its first year of production. The coin is currently available in the 1 ounce size only. The front of the coin features an image of Queen Elizabeth II. 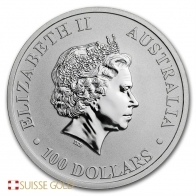 Around the coin are written "Elizabeth II, Australia" and the coin's face value. The Platinum 1 ounce Kangaroo coin has a face value of 100 AUD. The reverse side of the coin features an image of a Kangaroo hopping. Beneath the Kangaroo are the coin's year of minting, weight, purity and metal. The Kangaroo coin was initially only available in gold to coin investors, however due to its popularity the Perth Mint has launched the Kangaroo series in silver and in platinum also. 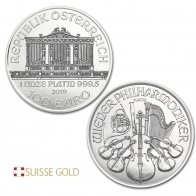 The Kangaroo coin is not currently available in palladium.